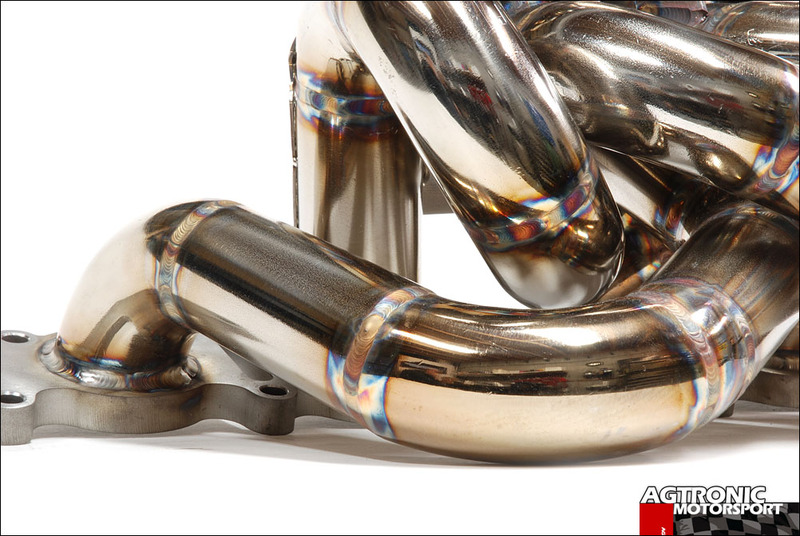 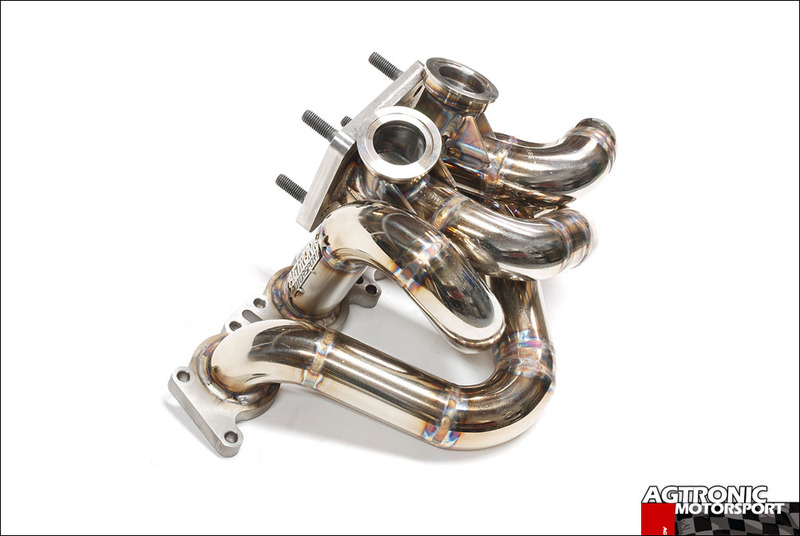 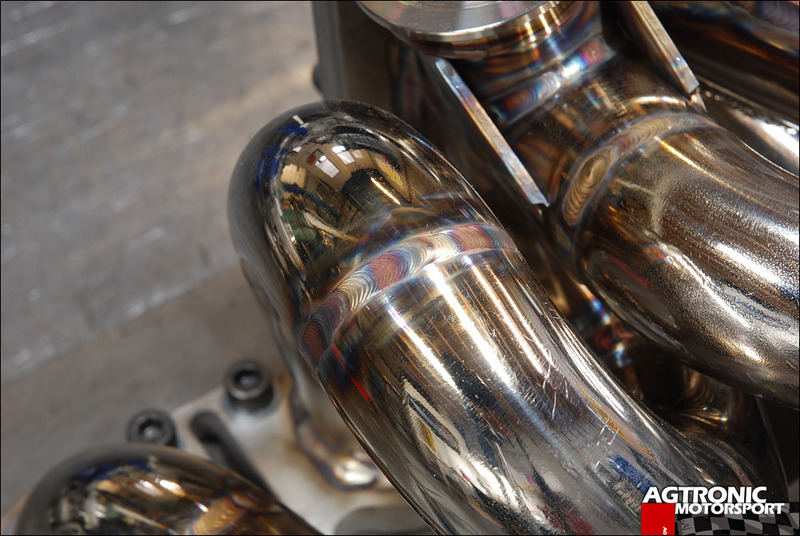 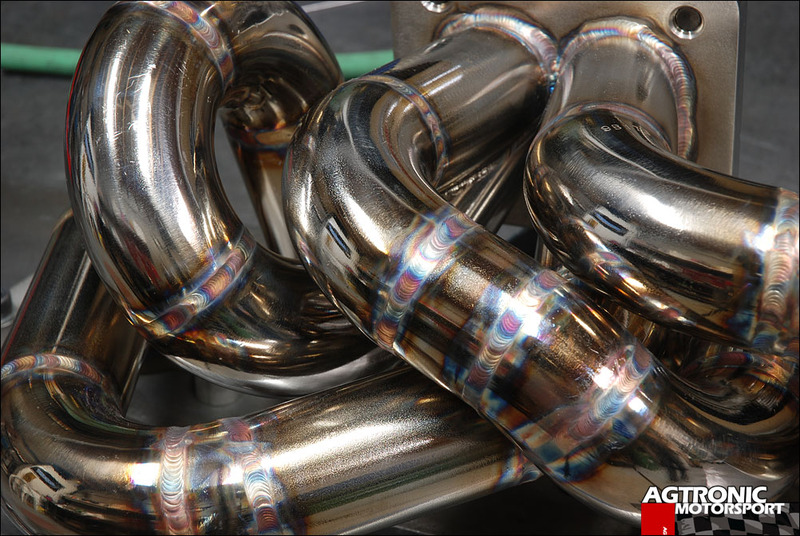 1 x Turbo Flex 3.0 x 6"
Agtronic Motorsport twin scroll manifold of tubular design for Audi / Volkswagen transversal 1.8T cars. 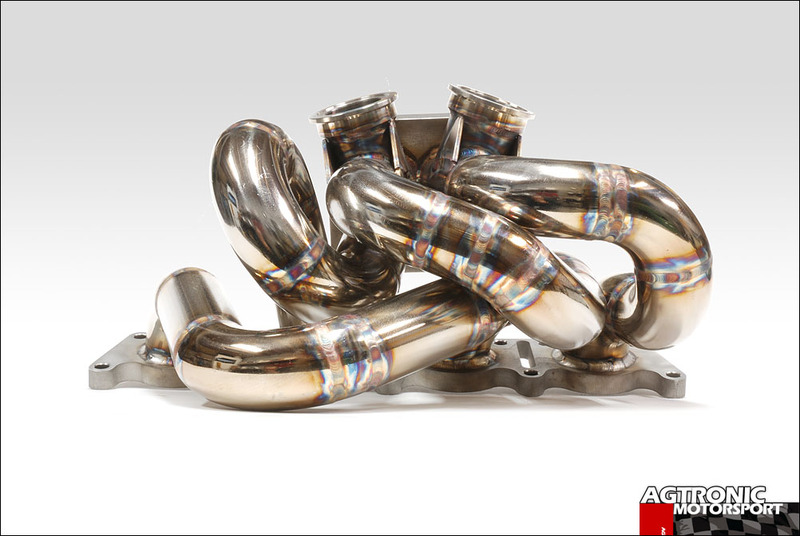 Fits Quattro (Haldex) models also. 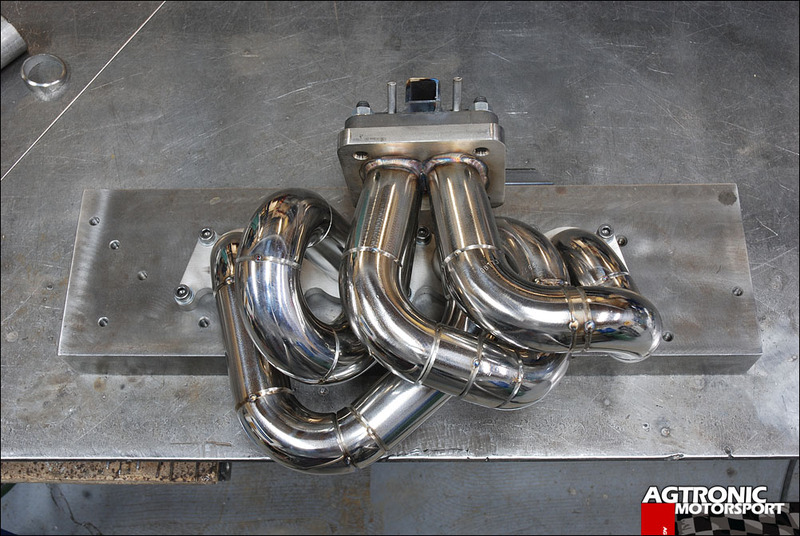 Tubular design offers a substantial improvement in mid-range and top-end power as compared to a log manifold using the same turbo. 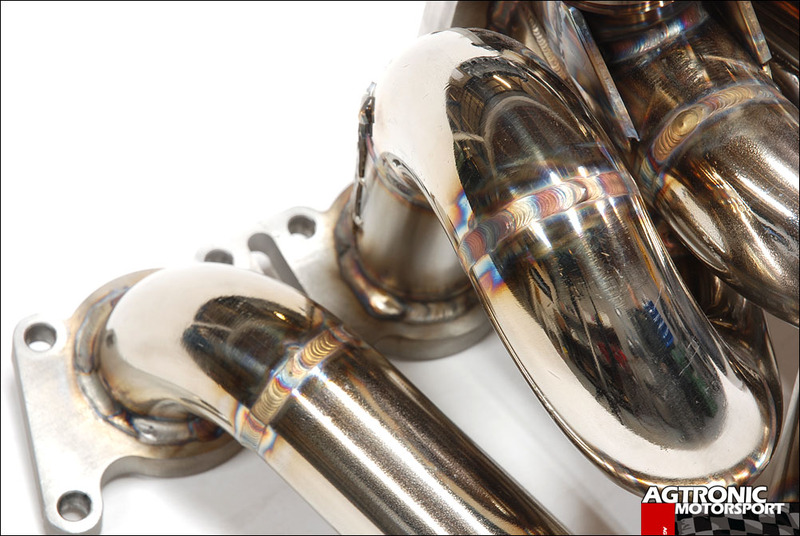 Designed for use with T4-flanged twin-scroll turbos, T4, GT4x, BW EFR etc. 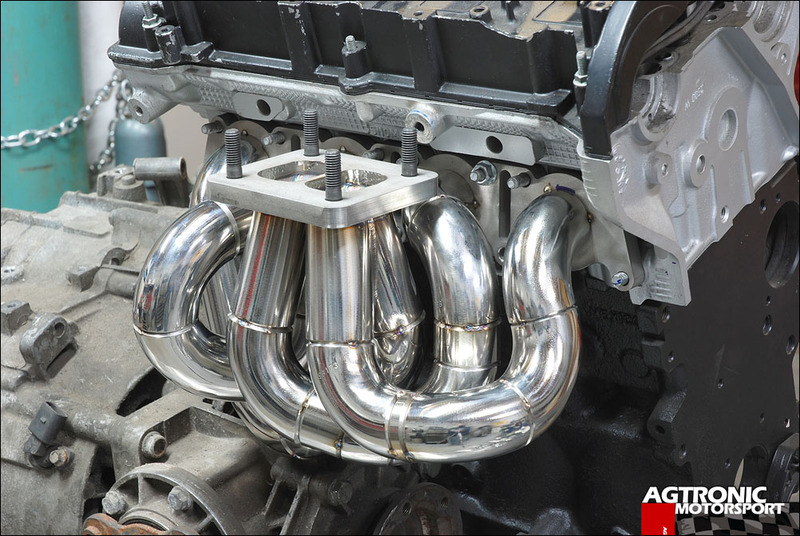 Wastegate ports are standard Tial 38mm V-band. 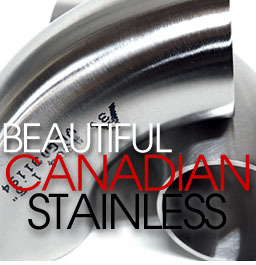 Constructed of 1-1/4" SCH 10 T304 stainless steel pipe. 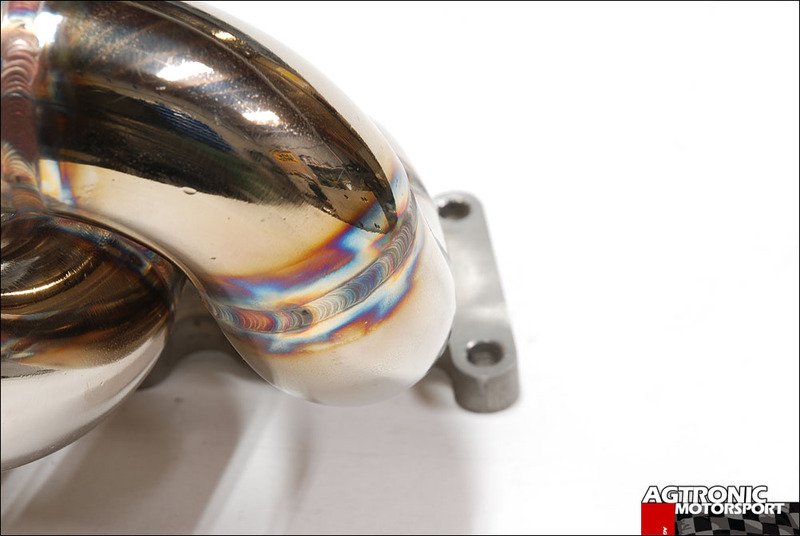 Fully back-purged during welding.